Limited edition of 400 copies! Coming on HEAVY 180 gram Vinyl, housed in a letterpress and offset printed jacket. Includes two postcards and a download code. Packaged in a resealable plastic sleeve with a sticker affixed to the front. The LP features 3 tracks from the CD and one track exclusive to Vinyl. Experience the beauty of 100% pure analog modular sequencer-based music. Theres a world-wide analog modular synthesizer resurgence in full swing. 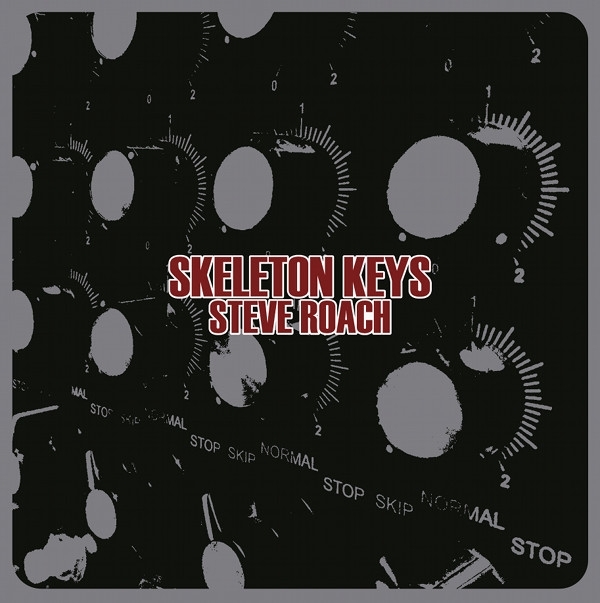 Pioneering electronic musician Steve Roach taps into the zeitgeist on Skeleton Keys, a 74-minute album recorded using the Synthesizers com large format analog modular synthesizer¬/sequencer-based system. Emotional and mind-expanding spiraling mandalas-of-sound made from interwoven tapestries of melody, rhythm, tone and musical space. With the sense of an artist working in three dimensional space, Steves skill set creates an album that breathes power, passion and vital life energy. On Skeleton Keys Steve connects to the European EM masters at the roots of his electronic heritage while simultaneously mapping the soundworld of todays contemporary technology-based music. The result is warm and engaging retro-futurism, a continuing evolution upon the musical structures Steve has unlocked in the restless pursuit of his soundquest.